While Sigur Rós might be on an indefinite hiatus, frontman Jónsi (Jón Þór Birgisson) is about to release his highly anticipated first solo album. 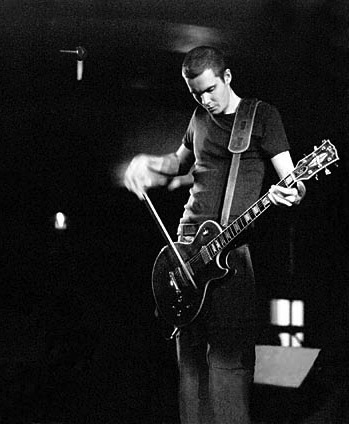 Go contains nine songs amassed from the large pool of songs written by Jónsi during his many years with Sigur Rós. The album is sung in English and Icelandic, and was co-produced by Jónsi, his partner Alex Somers and Peter Katis (The National, Interpol). Let there be mentioned that classical composer Nico Muhly also collaborated with Jónsi on the project. What was originally going to be a low-key, acoustic album sort of exploded somewhere along the creative process and turned into sheer aural fireworks. Jónsi’s vocals evolve in a rich sonic landscape where fluttering piccolos, expansive strings, brass, offbeat piano and percussion join in unison and leave you gasping for air. Go will be in stores April 5th (april 6th in north america). For more info, go to the official website or find Jónsi on MySpace. I hope Sigur Ros come back soon. This is quite awesome though, thanks!